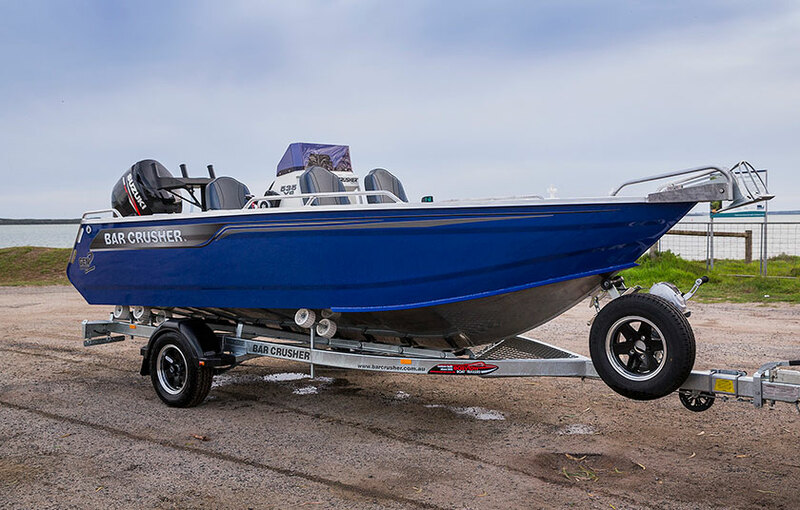 Bar Crusher has further expanded its range of custom-designed boat trailers with the addition of the NT Tough Upgrade. 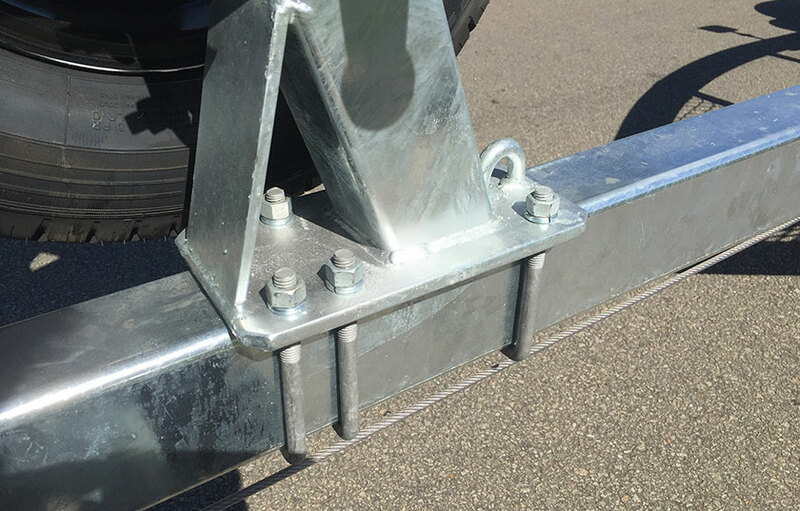 Working closely with Easytow Boat Trailers to perfect the design, the NT Tough Upgrade is in response to the increasing trend of Bar Crusher owners towing their boats on extended adventures into some of the most remote parts of Australia’s Top End. Taking what’s already an extra-strong galvanised steel trailer and making it even tougher, the NT Tough Upgrade focuses on strengthening seven areas of the trailer. – centre guard bracing with 40×6 flat. 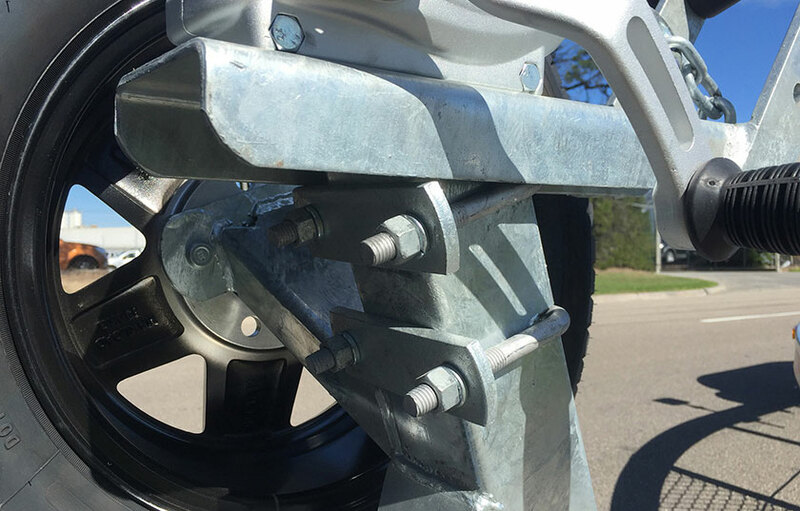 Available as an option on single-axle and tandem-axle Bar Crusher boat trailers, if you’re serious about getting off the beaten track then eye-to-eye suspension is also an option for the less than ideal road conditions you’re likely to encounter when heading to remote fishing destinations. Keep in mind: lowering tyre pressure, tying down your boat at the back and front, and driving to the conditions, will also help your whole rig. All Bar Crusher boats – from the popular folding-roof cuddy cabin (C) series, centre console / walk-around (XS and WR) series, award-winning hard top (HT) series, right up to the hard top pilothouse (HTP) series – are factory-packaged on custom-designed trailers to deliver the ultimate boating experience on the water, at the ramp, on the highway and off it. Available in galvanised steel or alloy construction, each trailer has been designed to ensure the boat self-levels and aligns perfectly every time, while Bar Crusher’s innovative Bar Catch® system also allows for single-handed launch and retrieve.